Rainbow marking the beginning of a long road of travel. Maybe a pot of gold at the end? Or just a lot of no-doze. Next few days should be a doozy. 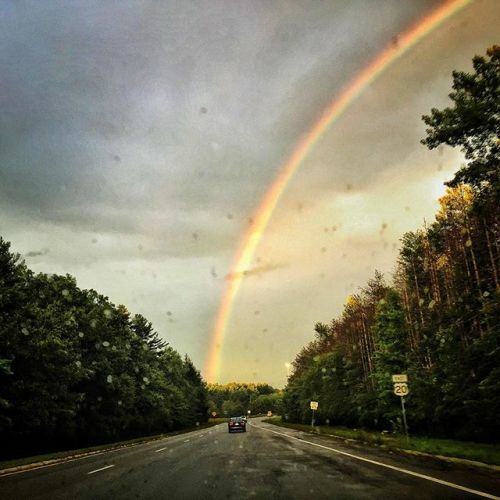 #photojournalism #documentary #reportage #streetphotography #travel #ma #rainbow #shotwhiledriving” By benlowy on Instagram.